Not all states requires an HVAC contractor to have a license, but South Carolina does. In addition, the Municipal Association of South Carolina offers certification for HVAC mechanics. This helps to cover any county or city regulations. After apprenticing or attending a vocational school, you can get started right away as a tech. When you’re ready to advance, you can become a journeyman and master. 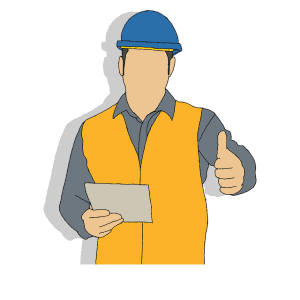 And if you decide to be a contractor, you will need to undergo the state’s official licensing process. This process includes both business knowledge and HVAC-related requirements. Certification through the Municipal Association helps make sure you can work in almost any area of the state. So it may be a great idea to pursue this certification as you are eligible - it will definitely make life easier for you! With residential HVAC certification, you can work on residential equipment such as heat pump and AC equipment, LP and natural gas, including fuel oil and appliances and piping; and ductwork and related trades. As a journeyman you can work on units of any size related to the installation, maintenance, repair, fabrication alteration or extension of AC, refrigeration, piping vessels, warm air heating, low-pressure boilers, ventilation systems, duct systems, and related parts of a complex system. You must work under the supervision of a master or contractor. A master mechanical certification includes everything under journeyman, without the requirement of supervision. To get certified as a journeyman, you must have two full years of experience. If you completed a two-year vocational program in this area, that can count as a year. To become a master, you must have four years experiencing as a journeyman. Alternately, if you have ten full years of experience but have not been certified as a journeyman, you can directly proceed to master’s level. EPA certification is a necessity for both of these. Prov is the name of the organization that handles exams for South Carolina. You make arrangements for testing only after your application to MASC is approved. There is a $25 application fee and the form can be found on the MASC website. To get your license as a Residential HVAC contractor in South Carolina there are general requirements you will need to meet, an application process, and in some cases an exam. The license allows contractors to work on residential systems only. It covers A/C, heat pump equipment, LP & Natural Gas, Fuel Oil appliances, piping, ductwork, and other HVAC related trades. Register for your technical exam and Business Management and Law Exam with PSI. After you have registered you will receive an Eligibility Letter from the testing company. Exam topics include: AC and Heat Pump Equipment; Load Calculations; Insulation; Safety; Piping; Furnaces and Heaters; Heating and Cooling Principles; Hangers and Supports; Fuel Oil; Ducts; LP Gas; Testing, Adjusting and Balancing; Sound, Vibration and Seismic Control; Fuel Gas; Combustion Air; Chimneys, Flues, and Vents; Ventilation and Exhausts; Refrigerants and Controls. EPA Section 608 HVAC Type I certifies techs to work on small appliances containing five pounds of less of refrigerant. EPA Section 608 HVAC Type II allows techs to work with high- and very high-pressure appliances, including non-automotive systems and split systems. There is a standard 12-page manual techs use to prepare for the test. For the Type I, the exam is open-book, but the passing grade is 84% for each section and the core questions must be repeated in a proctored environment if other certifications are pursued later on. It might be easiest to find a test site and take a proctored exam the first time you test. Here are some topics covered on the core of the exam: ozone depletion, clean air act, 608 regulations, substitute refrigerants, refrigeration, recovery techniques, recovery, recycling, safety, dehydration evacuation, and shipping. Taking the steps to get certified as an HVAC technician, or licensed as a contraction, helps to expand your possibilities within the field, which can only lead to higher salaries and professional recognition. With minimal applications, exams, and fees you can start pushing your career to its limits. The HVAC job market is only due to expand, creating higher demand and with it a bigger payoff. 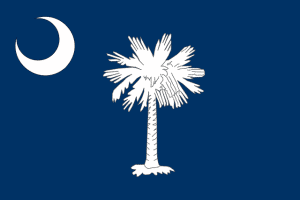 Start investigating your options for certification in South Carolina today!